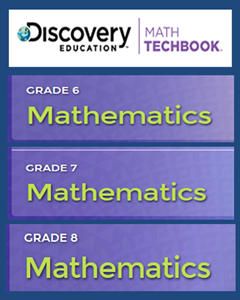 The Homeschool Buyers Co-op is pleased to give members a unique opportunity to use Discovery Education's Math Techbook for middle and high school students (grades 6-12). 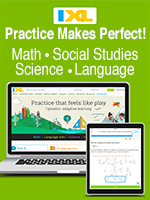 Note: Math Techbook for middle school is currently only available aligned to Common Core. Math Techbook for high school is available in Common Core alignment as well as Texas state standards editions. Discovery Education is working on alignments to other state standards and we hope will release them to Homeschool Buyers Co-op members as they become available. An inquiry-based approach that uses a Discover, Practice, Apply cycle balancing conceptual learning, procedural fluency, and application to real world problems so students gain lasting proficiency. An interactive curriculum that allows students to access dynamic content, interactives, videos, digital tools, and game-like activities that increase their motivation to learn math. Differentiated instruction lets students learn content through multiple pathways that match their learning style and can monitor their own progress in real time with the Student Dashboard. Access to content for ALL grade levels for middle school (6-8) OR multiple courses for high school (Algebra 1 and 2 and Geometry). 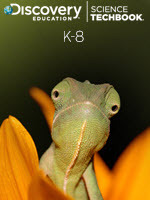 In-depth lesson plans to support novice and experienced teachers alike. Alignment to Common Core OR selected state standards (when and where available). Hardware independent: Works with any device, anywhere, anytime (e.g. iPad, laptop, etc.). 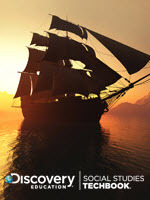 Math Techbook balances conceptual understanding, procedural fluency, and real-world application. The Core Interactive Text feature blends text and media for students of different abilities and learning styles. Students can highlight, add sticky notes, and have the text read aloud. 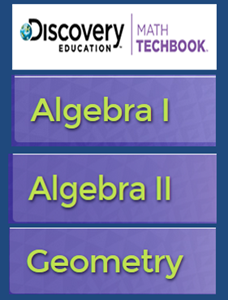 You can't get Math Techbook directly from Discovery Education or through any other homeschool organization! * But, thanks to our longstanding relationship, Discovery Education has agreed to make Techbook available to homeschoolers through the Co-op. *According to Discovery Education, Techbook may be available to homeschoolers in certain public school districts. Unfortunately, we have no way of knowing which school districts will do this or at what price, so we suggest you check with your local school district or state education department to see if it is available to you. Select from the "Standards" menu below. Note: Math Techbook for middle school is currently only available aligned to Common Core. Discovery Education is working on alignments to other state standards and we hope will release them to Homeschool Buyers Coop members as they become available. As a Co-op member, you'll have access to ALL the High School Math Techbooks. You can have your Techbook aligned to National or Texas standards. Make your choice from the "Standards" menu below. Note:" CC stands for Common Core. Traditional vs. Integrated: With "Integrated", you may learn a bit of Algebra and Geometry each year. With "Traditional", you generally cover a single subject in a single grade (e.g., Algebra I in 9th grade, Algebra II in 10th grade, etc). Note: Discovery Education is working on alignments to other state standards and we hope will release them to Homeschool Buyers Co-op members as they become available. 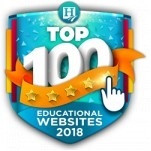 If you DO already have a current Discovery Education subscription (e.g., Streaming Plus, Science, Health, or Techbook), or a trial subscription to any of them, then you have an existing Discovery Education account and an associated username. Enter your current Discovery Education username in the "Current username (if any):" space below. 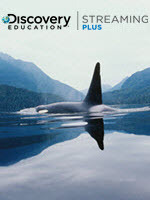 This will add your new Discovery Education Techbook subscription to your current Discovery Education account. The SmartPoints bonus is per order, not per quantity.